The Stream 13 offers solid battery life, a good enough screen, a better than good enough keyboard, and capable connectivity in an attractive (if slightly garish) and highly portable package. It's even more likable than the Stream 11. The bigger sibling of HP's landmark Stream 11 delivers the productivity basics in a Chromebook-busting $229 package, with LTE and touch-screen models available for big spenders. A $200-$230 computer is appealing. The price may grab headlines, but the slow performance, substandard storage total, minimal RAM, and mediocre display should make potential buyers pause before hitting the ‘buy’ button. The machine will only please a small segment of the population who like the idea of a Chromebook, but find ChromeOS limiting because they use one or two Windows programs they can’t live without. My wife fits that group. She can’t imagine living without Microsoft Publisher to create fliers and worksheets for her classroom. For that reason alone the HP Stream 13 makes sense. She doesn’t need more power or storage and loves the look and built quality. For those who prefer Windows OS, the HP Stream 13 offers better software flexibility than Chromebooks for a comparable price. For $230, you get more high-quality apps that can run offline, plus a comfortable keyboard, strong speakers and fairly smooth performance in a fun design. The two things that hold this system back are its dim display and below-average battery life (though 6.5 hours is decent). 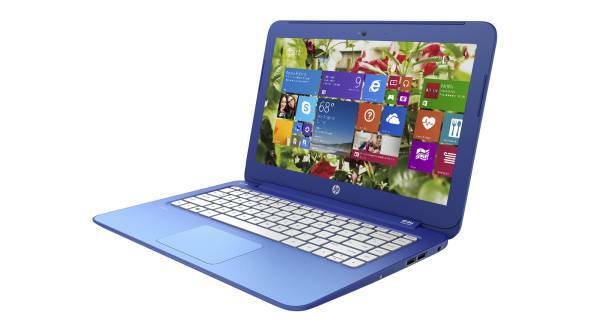 The HP Stream 13 is a bargain Windows laptop with some nice surprises, like a solid design and decent battery life. 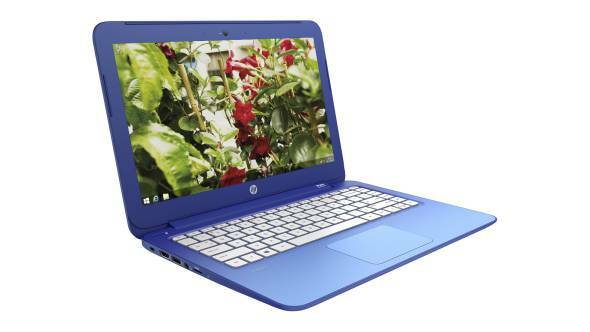 It’s a nice alternative for those who might be turned off by the limitations of a Chromebook. Just realize that the Stream 13’s low cost comes with some compromises. The HP Stream 13 is a great laptop for the money. It reverses the conventional wisdom that you have to pay a premium for an ultraportable laptop, and it undercuts the pricing of most of our recent Chromebook review units by anywhere from $20 to $100. It's quicker than other Windows PCs at or above its $230 price tag, thanks to a relatively speedy eMMC SSD. If you have constant Internet access or a spare $12 to $40 for a 64GB microSD card, you won't have to worry about running out of room on the 32GB SSD. Modell: Trotz ziemlich niedrigem Einzelhandelspreis ist das HP Stream 13 ein neuer ultra-portabler Laptop mit vielen Überraschungen. Das Stream 13 ist in zwei einzigartigen Farbverläufen erhältlich: Horizon-Blue und Orchid-Magenta, die ziemlich klasse und auffällig auf konventionellen Laptops aussehen. Das Chassis ist, um das Gewicht zu verringern aus Kunststoff statt aus Aluminium. Trotzdem fühlt es sich im Gegensatz zu anderen Billig-Laptops wie Chromebooks solide an. Mit einer Bauhöhe von 1,96 cm und einem Gewicht von 1.51 kg, ist es leicht zu tragen und passt gut auf die Schoss oder den Klapptisch eines Flugzeugs. Das Stream 13 hat einen 13,3 Zoll großen Bildschirm mit einer Auflösung von 1366 x 768 Pixel. Die Bildqualität ist gut, doch maximale Helligkeit und Blickwinkel sind eingeschränkt. Speicher ist ein zweischneidiges Schwert. Das Stream 13 nutzt eine 32 GB SSD, mit welcher es ziemlich schnell läuft, die jedoch nicht praktisch ist um eine Menge Daten abzuspeichern. Die User werden zur Nutzung von Microsofts OneDrive Online-Cloud-Speichersystem mit freiem Service im ersten Jahr animiert. Daneben gibt es natürlich immer die althergebrachte Methode, externe Festplatten zu verwenden. Die Akkulaufzeit von über 9 Stunden ist erstaunlich und reicht für einen ganzen Arbeitstag fernab der Steckdose. At first blush, HP’s Stream 14 is an inexpensive compact budget laptop with a long battery life and performance good enough for basic productivity and streaming media. The system is encased in an attractive and bright aqua blue colour clamshell made of plastic, and the lid has ridges that give the device texture and added grip. The slim and lightweight laptop measures 17.8 x 337.1 x 226.1 mm and weighs up to 1.4 kg, making it extremely easy to carry around. As the name implies, the Stream 14 has a 14-inch LED-backlit screen with aspect ratio of 16:9, HD resolution of 1366 x 768 pixels, and a pixel density of 112 PPI. The lack of IPS technology for the display gives it poor viewing angles, but its picture quality is decent and therefore should be suitable for entertainment like watching YouTube clips. The display is also bright enough to work in a dimly lit room. Set below the display is a full size Chiclet style keyboard with white keys, giving it a nice contrast to the Stream 14’s blue chassis hue. The keys have good travel and distance between them, and are comfortable to type on. 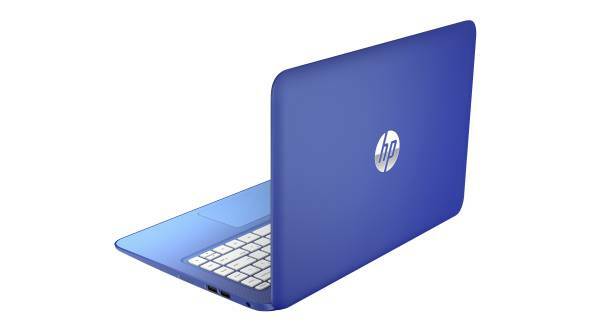 However, the keyboard is not backlit, and that is among the few trade-offs HP had to make to keep the notebook affordable. The one-piece touchpad is also responsive and does its job well. For connectivity options, this budget notebook has a plethora of ports including USB 2.0, 3.0 and 3.1 ports. Battery-wise, the Stream 14 runs on a 3-cell 41 Wh lithium-ion battery that can provide 9 to 11 hours of battery life depending on the type of usage. This is pretty impressive for a budget notebook. The Stream 14 runs on a dual core Intel Celeron N3060, with a base frequency of 1.6 GHZ and can be pumped up to a maximum of 2.48 GHz with the help of Intel’s Turbo Boost Technology. The Celeron N3060 is one of the weaker CPU’s in today’s market. Though it has two cores, the Stream 14 may not be able to perform well in photo and video editing or 3D designing. This should come as no surprise, since this processor is complemented with an Intel HD Graphics 400 (Braswell) graphics card. These specs clearly indicate that the Stream 14 is not appropriate for modern gaming. Instead, the Stream 14 is designed to be only suitable for basic home and office computing tasks. Packed with 4 GB of RAM, there will be no problems with system lag when running multiple programs simultaneously. The Stream 14 ships with the Microsoft Windows 10 Home 64 bit operating system, and has an inbuilt storage of 32 GB. The storage capacity can be expanded with an USB drive or a microSD card. 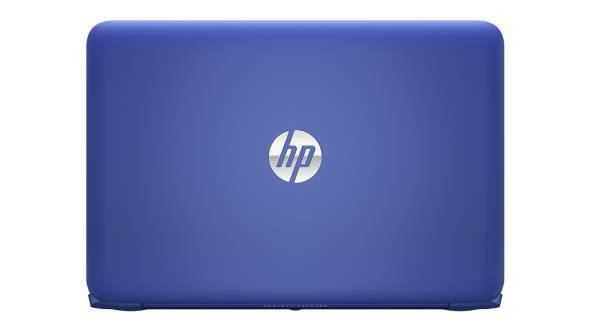 HP has also includes a one-year subscription to 1 TB of online cloud storage on Microsoft OneDrive and use of Office 365 Personal with the system. N2840: Sparsamer Dual-Core-SoC auf Basis der Atom-Architektur "Silvermont" für kompakte und preiswerte Einstiegsnotebooks. Taktet mit bis zu 2,58 GHz und integriert eine DirectX-11-fähige Grafikeinheit.» Weitere Infos gibt es in unserem Prozessorvergleich Vergleich mobiler Prozessoren und der Prozessoren Benchmarkliste . 76.67%: Weltbewegend ist diese Bewertung nicht. Obwohl es bei den meisten Websites einem "Befriedigend" entspricht, muss man bedenken, dass es kaum Notebooks gibt, die unter 60% erhalten. Verbalbewertungen in diesem Bereich klingen oft nicht schlecht, sind aber oft verklausulierte Euphemismen. Dieses Notebook wird von den Testern eigentlich als unterdurchschnittlich angesehen, eine Kaufempfehlung kann man nur mit viel Wohlwollen darin sehen.